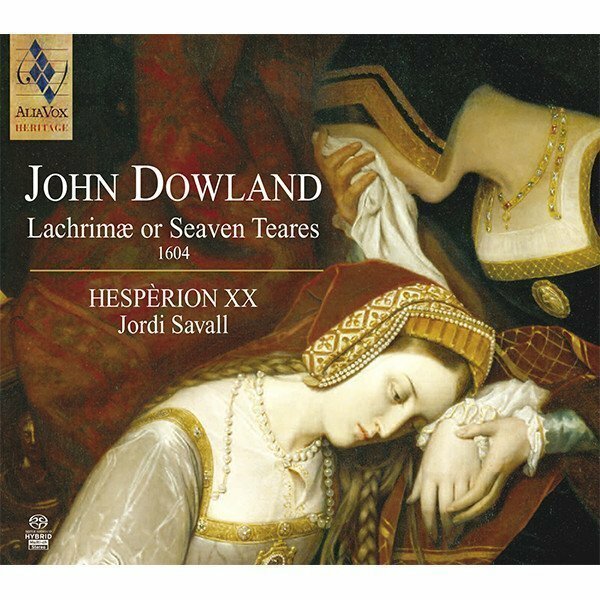 John Dowland was no less famous for his misfortunes than for his works. This subtle, elusive and strangely-behaved character led rather an adventurous life. Hailed as an Anglorum Orpheus (or “Orpheus of the English”) of almost divine powers, he inspired more comments and praise than most great musicians of his generation. To comply with legend, we were to associate him only with tears, sleep and gloom, in the gallery of Shakespearian heroes he could be placed somewhere between Hamlet and Jaques in As You like It. Although the legend may be partly based on truth, the musician himself contributed a great deal to it in his various writings; these are the confessions of a man full of dissonances, at once vulnerable and ambitious, ingenuous and haughty – an egocentric ever at odds with a world by which he felt himself rejected. Yet the dismal accents and sombre colours we readily associate with Dowland’s music may be less characteristic of his art than they are of a period which had been deeply shaken in its political security, religious faith and scientific beliefs. The man of the time, confronted with his duality as a terrestrial creature yearning for Eternity, was beset by doubts and dismay. It was such feelings that gave rise to what is sometimes called “17th century melancholy”. At the end of Elizabeth’s reign and through the Jacobean period, England, more than any other nation, was affected by this morbid wave: melancholy became the object of a new cult, to which the philosopher, the lover and the poet devoted themselves passionately… The common herd regarded it only as a precious convention, fit to be lampooned in the satires of the day; for sensitive souls, however, it proved to be one of the most fruitful sources of inspiration in a period that shone with the unique brilliance of Donne, Hilliard and Weelkes. Born in 1563 John Dowland was almost exactly contemporary with Sweelinck and Shakespeare. Of his origins and early beginnings as a musician nothing is known. As an adolescent he was “servant” to the English ambassadors to the court of France, spending over four years in Paris between 1580 and 1586. During this stay – which must have greatly contributed to raising his social status and orienting his musical evolution – Dowland was converted to Catholicism under the influence of the English emigrants. Back in England, he got married and in 1588 was admitted to the degree of Bachelor of Music from Christ Church, Oxford, on the same day as Thomas Morley. His increasing renown as composer and performer, however, did not win him Elizabeth’s confidence; so in 1594, after vainly seeking a post as court lutenist, he left for a long journey that was to take him to Rome, where he intended to take lessons with the famed Luca Marenzio. In Germany the Duke of Brunswick and the Landgrave of Hesse vied with each other for the honour of retaining him at their courts. He met Giovanni Croce in Venice, visited Padua, Ferrara and Bologna, played before Arch-Duke Ferdinando I in Florence, and there (as previously in Paris) associated with a group of English Papists who tried to involve him in a plot against their queen. Alarmed, he hurriedly left the town and found temporary refuge with Maurice of Hesse at Kassel. On the strength of promising news from England, he hurried back to London at the beginning of 1596, but failed to obtain the royal patronage that had seemed so likely. Despite this new failure – or perhaps because of it – Dowland devoted himself to studying and composing. The following year he boasted the title of “Bacheler of Musick in both the Universities”, i.e., Oxford and Cambridge, the first to have awarded this degree from the late 16th century; he also published his first book of Ayres for voice and lute, thus initiating a genre in which England was to excel for a quarter of a century. Six editions in succession testify to the renown then enjoyed by the composer. And yet Dowland was to go into exile again. In November 1598 King Christian IV of Denmark, brother-in-law to the future James I, appointed him as court lutenist, heaping kindnesses on his virtuoso. But as the years went by, Dowland’s casual attendance to his duties, along with his increasing debts, led to an early dismissal. In 1608, after spending one third of his adult life abroad, he returned to his native land, only to find – not without bitterness – that the court was indifferent to his music. He then applied himself to translating the Micrologus, an already ancient treatise by the German theorist Andreas Ornithoparcus, collaborated on the editions of the Varietie of Lute-Lessons and of the Musicall Banquet brought out by his son Robert in 1610 and in 1612 published a fourth and last collection of works for voice and lute under the significant title: A Pilgrimes Solace. A much belated and meagre consolation indeed was his appointment that year as one of the King’s Lutes. At the age of fifty, “being now gray and like the Swan, but singing towards his end”, he spent his last creative forces composing some short devotional works. John Dowland, “Doctor of Music”, was buried at St Anne, Blackfriars, on 20th February, 1626. As shown by its heading, the collection was in the same vein as numerous contemporary cycles – both poetic and musical – of religious inspiration; their elegiac and meditative character was to spread to all secular artistic expression. How could we not think of Lassus’ Lagrime di San Pietro (1594) or, in England, of William Hunnis’ Seven sobs of a Sorrowfull Soul for Sine (ca.1581) and of John Coprario’s seven Funeral Teares (1606)? And how could we not relate Dowland’s work to his distress after Elizabeth’s death in March 1603? The tears he then shed over his vanished hopes became mingled with other tears heralding fresh hopes, for they were to touch the heart of their dedicatee, the Princess Anne, sister to his royal patron and wife to James I of England. This collection – the only one that Dowland ever devoted to the instrumental ensemble – consists of twenty-one pieces for whole consort of viols (two trebles, two tenors and one bass) and lute. The latter instrument is not restricted to the continuo: its part, written in tablature, is an ingenious reduction of the viol score with the occasional ornamental figuration highlighting the cadences. Treated in this manner, the lute adds its own particular quality to the smooth and slightly veiled tones of the consort, bringing out the polyphonic lines and establishing a discreet pulse through the closely-woven fabric of this music. As to the violins mentioned in the title-page, they were evidently used to satisfy the taste of the court for these “vigorous and shrill” instruments. The violin was at that time reserved for the bands of professional musicians whose repertoire consisted mainly of dance music. Connoisseurs, however, looked down on the instrument and for a long time remained attached to the consort of viols as the preferred meeting-place for their intellectual requirements and their human affinities. Most of the material in this book is taken from Dowland’s earlier works for voice and lute or for solo lute, here reworked in five parts so that they really appear as new compositions. Best-known among them is the one that gives its title to the collection, the pavan for lute, Lachrimæ. No other contemporary work came anywhere near its popularity, except Lassus’ chanson Susanne, un jour. It took over the tablature books, passed from instrument to instrument and inspired English and continental composers with forty-odd personal versions or parodies. Dowland himself, after setting to it the text Flow my Tears, incorporated it into his second book of ayres for voice and lute (1600). There have been many hypotheses as to the origin of the pavan’s initial motif, which became, as it were, the musical signature of the composer; none of them, however, is satisfactory. Besides the symbolism of the interval of a fourth (the frailty of human condition, according to the philosophers), it will be noted that the falling succession of two tones and a semitone constituting this motif corresponds to the definition of the tetrachord in ancient Greek theory in which our Bachelor of Music was undoubtedly well versed. From the melody Flow my Tears Dowland elaborated a set of seven pavans in the Aeolian mode, each of which ought to be closely analyzed to bring out the relations between its musical content and its symbolic title. After presenting the pavan in its almost original form (L. antiquæ), Dowland regenerates it somehow by introducing new elements into it (L. antiquæ nomæ). The dramatic character of the falling intervals followed by silences and sudden outbursts (L. gementes), the mournful gravity of the melody played in the alto (L. tristes) and the ambiguous atmosphere created by the elusive, plastic, sensuous lines (L. coactæ) slowly move on to firmer ground where the writing becomes more homophonic (L. amantis, with the theme on the dominant, stated in the tenor) until serenity is reached in the last piece with the reconciliation of its inner voices (L. veræ, with the theme in the bass). A mirror held up to melancholy or the anamorphosis of a theme, the Lachrimæ leave the musician and the listener free to choose the presentation: if you assemble them in set form, you will derive an intense intellectual pleasure from following the elements of their organic unity through en ever-changing polyphony; if you couple them with the galliards, your attention will be continually solicited by the natural rhythm of tension and relaxation resulting from this association. 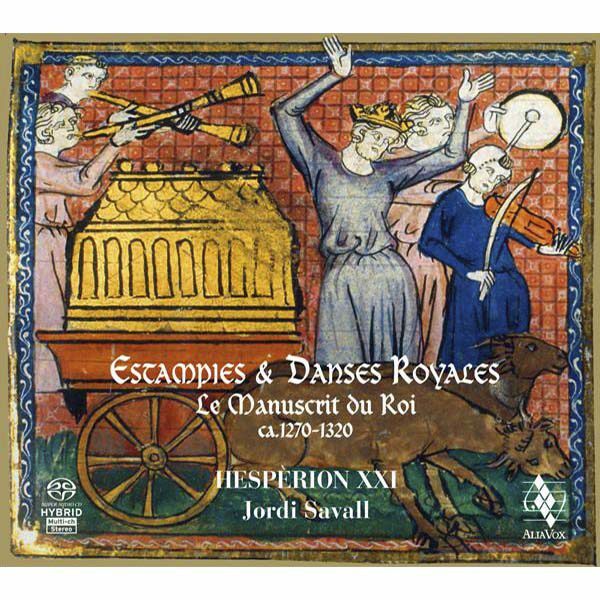 Jordi Savall has chosen the second solution and – sometimes by means of perfectly licit transcriptions – established new relations of complementarity within this collection of miscellanies. The fourteen pieces following the Lachrimæ in the original edition are ordered according to the hierarchy of dances described by Thomas Morley, and are all dedicated to the highest personages of England. The group of pavans is prefaced by the self-portrait of the lutenist, Semper Dowlend, semper dolens (Ever Dowland, ever doleful), the most elaborate composition of the whole collection, with, in its third part, a quotation from the In Nomine which tolls like a knell in the alto. Sir Henry Umpton’s Funeral, a tombeau in the style of those composed by Anthony Holborne (1599), seems to have been written directly for the instrumental ensemble and contains echoes of Dowland’s ayre In darkness let me dwell. In this dark and heavy atmosphere the pavan for John Langton, with its major key, brings an almost unexpected clarity. The galliards, a favourite form with Dowland, seldom have the playful tone suited for this type of dance. The first in the series, the very martial and picturesque Battle galliard (which was also to seduce the virginalist William Byrd) was renamed for this occasion and most opportunely dedicated to Christian IV of Denmark. Incidentally, this is the only piece that Dowland condescended to offer to a foreign high personage. The Duke of Essex’ galliard is the instrumental version of an ayre from the first book; its words (“Can she excuse my wrongs”) were allegedly written by Robert Devereux on the eve of his execution. For obvious reasons, Dowland’s posthumous homage could have been brought into the open only after Elizabeth’s death. Among the other galliards, only two appear here in the original form; they are dedicated to some obscure, even unknown characters, Nicholas Griffith and Thomas Collier; the second piece is particularly interesting for the treatment in imitation of the two upper parts, in the new manner. 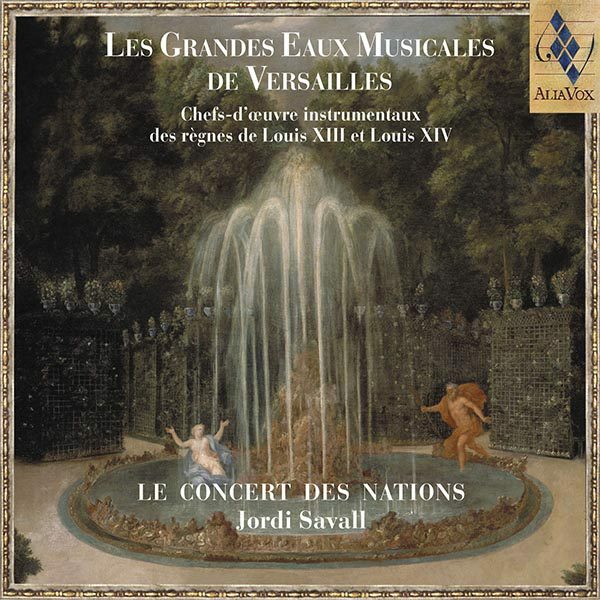 The work is rounded off by two allemandes whose simplicity, sturdiness and joviality could almost make us forget that they, too, were composed by Jo: dolandi de Lachrimæ.